Chitralahari, written and directed by Kishore Tirumala, focuses on the journey of an underdog, Vijay, who has never tasted success in his life. He’s a prodigy in the making; however, he never gets a chance to prove himself, and no matter how hard he tries, the obstacles seem insurmountable each time. Given the context and characters in Chitralahari, you would believe that Kishore Tirumala had the right set of ingredients to make a heartwarming drama about one man’s journey to achieve his goal; however, the drama and the narrative are dull, and Chitralahari ends up being a film that seemed far more interesting as an idea. Sai Dharam Tej stars as Vijay Krishna, an innovator, who builds products and apps, and he tries his best to pitch his ideas to big companies. When his requests are turned down, he ends up taking up a job at a TV repair service center. However, he still harbours the desire to make it big, thanks to his father’s encouragement. 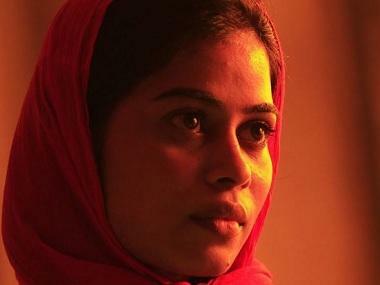 His girlfriend, Lahari (Kalyani Priyadarshan) is his beacon of hope. But she has a problem with people who drink alcohol, and Vijay lies to her about being a teetotaler. When he isn’t working at the service centre, Vijay spends most of his evenings at a bar, where he befriends several others. To complicate his life further, Swetcha (Nivetha Pethuraj) tells her childhood friend Lahari that Vijay is not the right guy for her. The rest of the story is about how Vijay manages to taste success both personally and professionally. 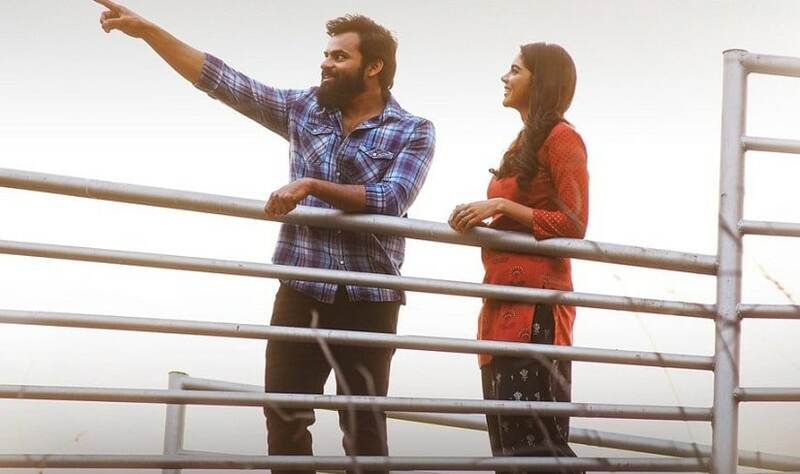 Sai Dharam Tej and Kalyani Priyadarshan in a still from the film. Screengrab from Youtube. Almost every film that delves into the life of an underdog has a similar story to tell. The story of Vijay Krishna is no different, and his journey is barely inspiring. He gets agitated when people call him a ‘reject piece’, but he is so used to being a failure that nothing seems to break his soul anymore. He breaks down when Lahari begins to question her faith in him. She is quite attached to him. His father (played by Posani Krishna Murali) hasn’t given up on him, and he tries to inspire him every now and then. But these conversations, despite being well-written, don’t lead to anything in the narrative. This is a consistent problem with Chitralahari. It has nuggets of wisdom, but they don’t quite translate into an engaging drama. Like the title of the film suggests, Chitralahari is a medley of incidents in the lives of the characters. There are moments that are handled quite well throughout the film. For instance, there’s a scene where Posani reprimands his neighbour for prying into his son’s life. In another scene, Vijay tells him that he has lost everything in life, but his father tries to shake him out of the trance. In another scene, Vijay tells Swecha the perils of judging anything in life without seeing it from up close. In moments like these, Kishore Tirumala shines as a writer. It also helps that he has stripped the film’s lead actor, Sai Dharam Tej, of all his machismo, which was so predominant in the actor’s recent films. As an underdog, Tej delivers a sincere performance and makes you empathise with him. However, the film doesn’t quite rise above the boundaries that it creates for itself. It focuses so hard on the small moments that it misses the bigger picture. As a result, the film itself is hardly inspiring. Kalyani Priyadarshan does a fine job as an innocent, naive girl; however, her romantic track with Sai Dharam Tej is too superficial to make us root for them. Nivetha Pethuraj is good in her role as a headstrong girl who is suspicious about men and their motives. Sunil and Vennela Kishore find themselves in half-baked roles, and it’s anybody’s guess why the film ends on such a flimsy note. The film is well-intentioned and tries to portray relationships in a realistic manner, but the stakes are low, and Vijay's journey makes you restless at times. It does have a good message: talent isn’t good enough to achieve success, you need patience and the right attitude too. Maybe this applies for the film too - you need plenty of patience to see where Chitralahari is going and the message it tries to drive home.